It has become increasingly rare to have a relaxed and chill weekend for me and my husband. We seem to have a million things going on, so when we do get the chance to have a slower paced weekend we jump at the opportunity. This weekend we had the chance to have a relaxed Saturday and it was nice, let me tell you! I kept my outfit pretty chill to go with the day. I was not in the mood to dress up to much. 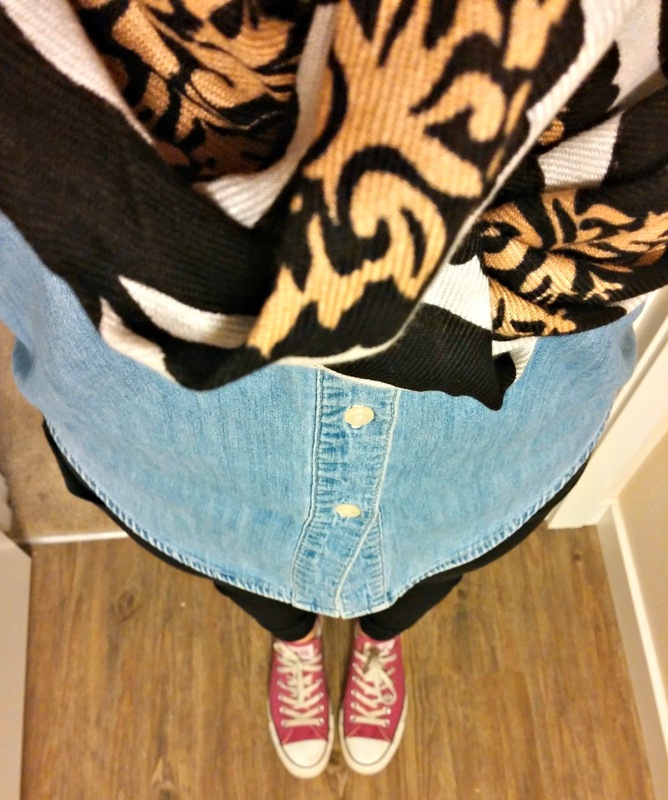 I went with black skinny's, a chambray top, scarf and cons. Sometimes keeping it simple is the best way to go. Hope you all are having a fun filled weekend! Very nice outfit, I can never find anything worth buying in my Goodwill. I need to travel out of my town or shop online. I am a longtime EBAY lover and Vintage Swank was my fave shop. Cute get-up Abi! 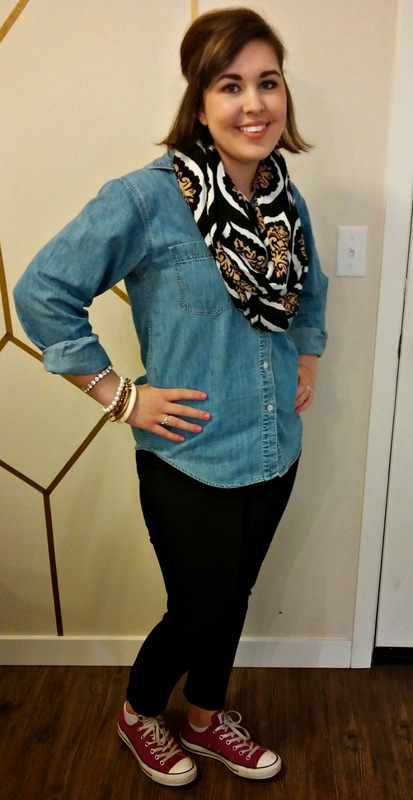 I love that scarf, so sweet to receive it as a gift. Have a great week ahead! Thanks! Have a great week too!